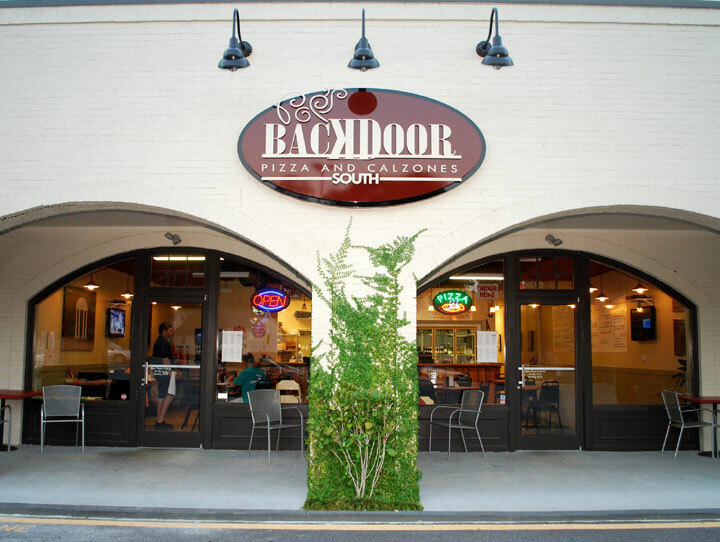 Pop’s Backdoor South serves fresh pizza and Italian cuisine in a relaxed environment that everyone can enjoy. Adults can revel in something from our great beer & wine selection, and we have a nifty children’s play area for the little ones. Shaded sidewalk dining is available on a first-come, first-served basis. Pop’s Backdoor Pizza is happy to provide large orders for take-out or delivery service – for orders of more than twenty pizzas, please call at least 48 hours ahead. Pop’s Backdoor South is a proud supporter of local Farmers! “Like” us on Facebook for updates & specials! YES – we do offer PIZZA BY THE SLICE!